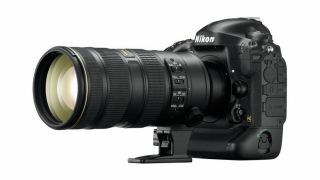 The Photography Show will see the launch of the Nikon D4S in the UK. The camera, which was announced as being in development earlier in the year at CES is the replacement for the two year old Nikon D4. Specs for the camera are still unknown as the company is keeping tight lipped about what exactly the professional DSLR will feature. Latest rumors suggest that it will feature the same 16 million pixel sensor as its predecessor - and which is also found in the Nikon Df - but it will see improvements in critical areas including the processor, continuous shooting speeds, autofocusing, video and low light performance. It's widely thought that the unusual XQD memory card format will also be staying. It is anticipated that the D4S will be officially announced at the CP+ trade show, taking place in Japan at the beginning of February, but it will be the Photography Show which gives customers the opportunity to see the camera for the first time on these shores. The show, which occupies the same slot at the NEC as the long-running Focus on Imaging show which closed last year, is organised by Future Publishing, TechRadar's publishing company. Other manufacturers including Canon and Olympus have also signed up to exhibit at the exhibition. Nikon says that along with the D4S, the complete range of current Nikon cameras will be available to take a look at, including the retro Nikon Df and the recently launched beginner DSLR, the Nikon D3300. The Photography Show takes place at the NEC in Birmingham between 1st and 3rd March.